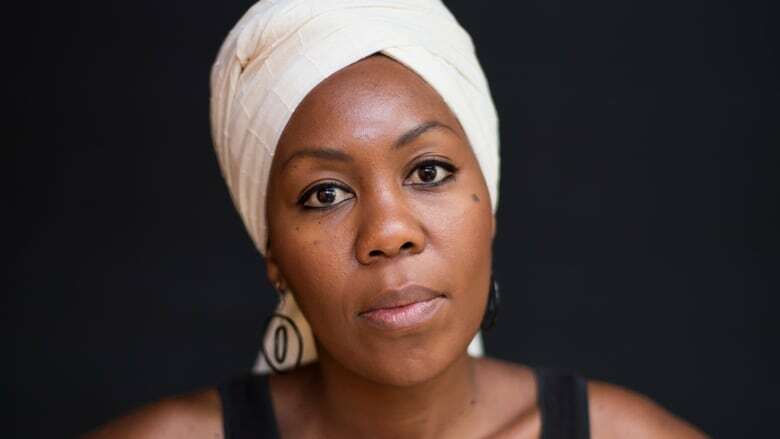 The daughter of an ANC guerrilla in exile, Sisonke Msimang grew up moving from country to country. The author says it gave her an outsider's perspective, and framed her understanding of "home." Originally published on Sept. 28, 2018. As the daughter of an African revolutionary, Sisonke Msimang grew up learning about pride and fighting for what's right. But it took a Canadian school bully to teach her about racism. Msimang's father was a guerrilla fighter for the African National Congress (ANC). He left South Africa just before Nelson Mandela was imprisoned on Robben Island in 1962, joining a community in exile, waiting for the day Mandela would walk free. She and her sisters were brought up all over the world — from Zambia to Kenya to Canada — in a diaspora she describes as "deeply ambitious, idealistic, driven people" who "were champing at the bit for freedom." She chronicles her childhood spent in exile, and how it shaped her idea of home, in her book Always Another Country: A Memoir of Exile and Home. She joined The Current's guest host Piya Chattopadhyay to discuss those experiences. Here is part of their conversation. As you say, "We were black South Africans, landing in Canada in 1984." What were you seen as? Did you face racism? What was it like? We did face racism but that, again, wasn't the defining feature. Canadians are so nice, and so on the one hand we really were welcomed. And I think there's no contradiction between understanding how racism functions, and how welcomes function. People can be hospitable and ignorant, some people can be racist and other people cannot, right? So it's complicated. I do want to ask you about the racist incident that you refer to in the book, one of them, because for any person of colour you remember the littlest transgressions to the biggest ones. They stay with you, yeah. I want you to tell the story about [the time] you were called a monkey. It's important to tell this story, and as you explain it we'll know why. So we've just moved to Ottawa, and I think it was actually the first week of school. And we were playing on the playground and this boy — we were on the monkey bars — so, you know [this] smart boy, he says: "Look at that African monkey," and he starts making the noise that a monkey makes. And everyone else on the playground joins in and starts laughing, and sort of making the noises. And it was very humiliating. I was 10. And I burst into tears. Off I go and get home and tell my Mom, and I'm crying and she comforts me, and my father gets home from work and we tell him the story. And my dad's response — classic — is: "So what did you do?" And I said I cried. And he said: "Why did you cry, what kind of coward child am I raising?" [Laughs] This is the revolutionary! And so my mom intervenes, she's like: "She's a child! This was hard, like, she is not the problem here!" So we have this whole discussion, and in the morning he takes me to school. So this is mortifying to me as a 10-year-old, I want nothing more than to be swallowed up by the earth. We sit in the principal's office and my father tells him what happened the day before, and the principal is very kind and nice and and says, you know: "I'm sorry that happened." And so my father is like: "So we need an apology." And the veneer of niceness stops when you demand accountability, right? So the principle was kind of surprised, like: "Oh, well, I mean, you know this is Canada and there's very few of you ... guys, and so this is kind of going to happen, you know?" And my father is like: "Absolutely not. This is not going to happen. I did not come to this country, I did not leave South Africa to fight for freedom for this to happen to my child. "So that's not OK, under your watch or anybody's, it's not OK to be in a public school system where this happens." Watch Sisonke Msimang's Ted Talk about storytelling. And so what's your takeaway from that? I mean, what was important about the story is that we went to the classroom and the kids collectively apologized, because my father insisted on it. So everyone in the class, in this sing-songy voice sort of says: "Sorry, Sisonke." What was important for me was that I saw in action, being role modelled by my own father, that … when you are the subject of racism you have agency, number one. Secondly, that racism is the problem of the racist, not the person who suffers the racism. It was a very clear lesson in accountability. It was a very clear lesson that I should not own the problem. Written by Padraig Moran. Produced by The Current's Willow Smith and Samira Mohyeddin. Q&A edited for clarity and length. Listen to the full conversation near the top of this page.